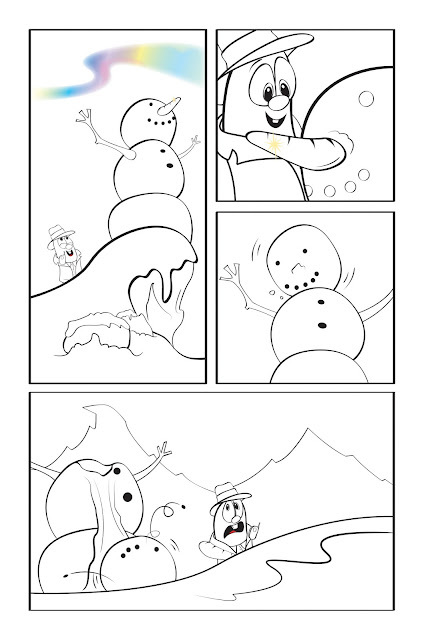 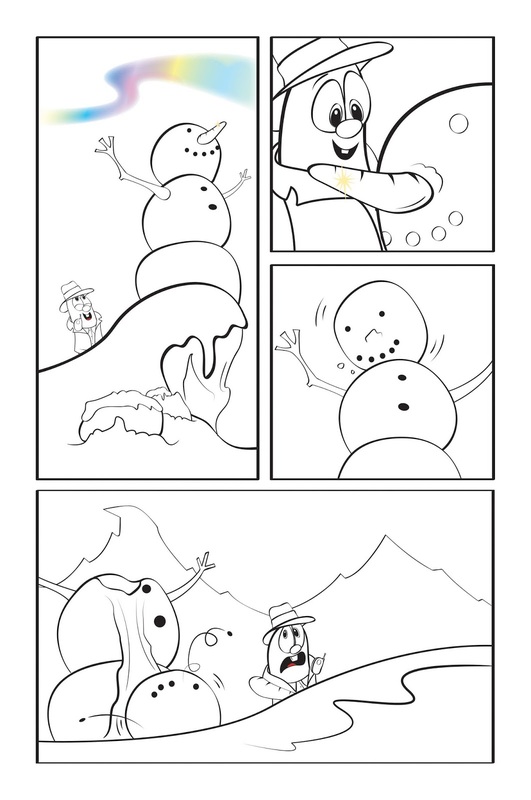 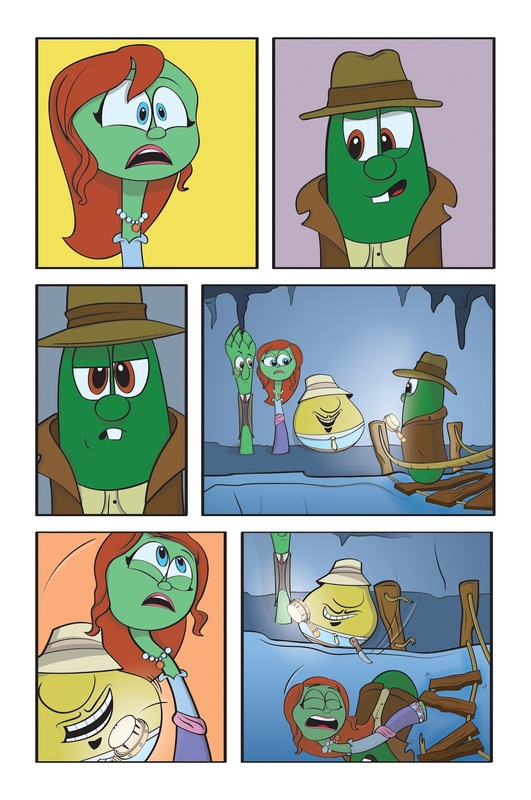 OK, pals, it's time for more VeggieTales comics! In case you missed the last few updates & didn't know, last year, I had the great opportunity to work as a freelance Artist Assistant & Colorist for illustrator, Cory Jones as he drew & lettered the 32 page VeggieTales comic book story Minnesota Cuke and the Search for Samson's Hairbrush for Big Idea Entertainment & B&H Kids publishing. The story was adapted by Mike Nappa from the Big Idea/VeggieTales video of the same name & is collected in VeggieTales Super Comics: Volume 4. 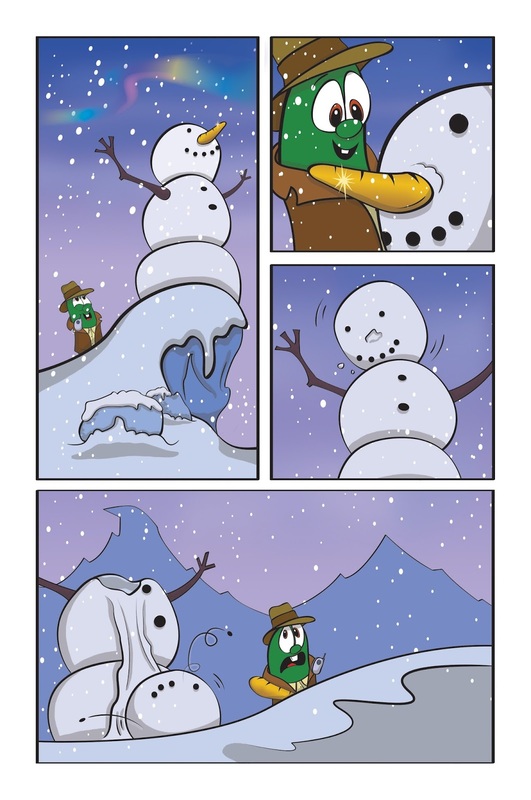 "Before & after" time! 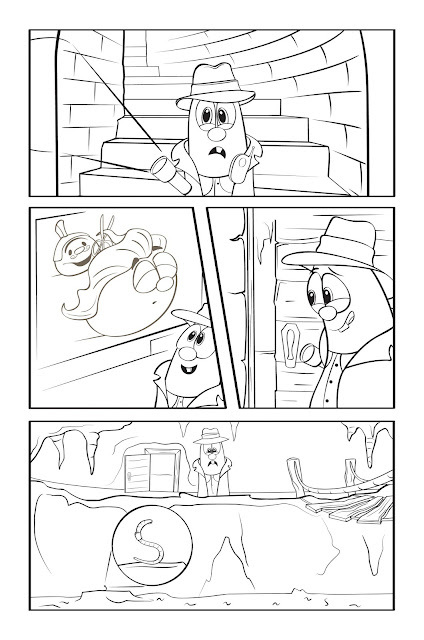 Below are some examples of how Cory's line art basically looked when I received it, followed by my digital color version of each page. 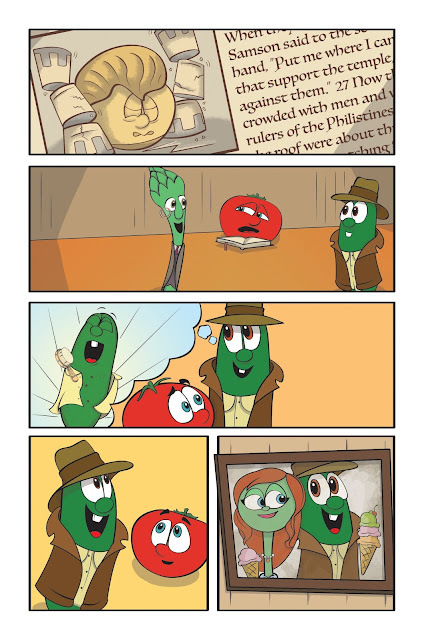 The majority of my work was done in Photoshop with minor corrections & adjustments in Illustrator. My original color work was in CYMK mode, but for the purposes of posting online, it has been changed to RGB mode (which alters the colors slightly.) 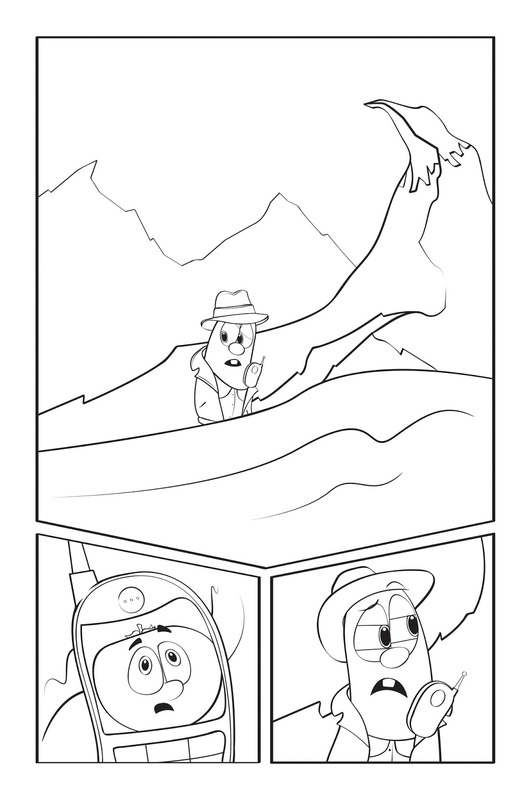 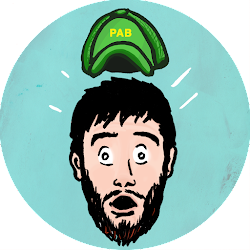 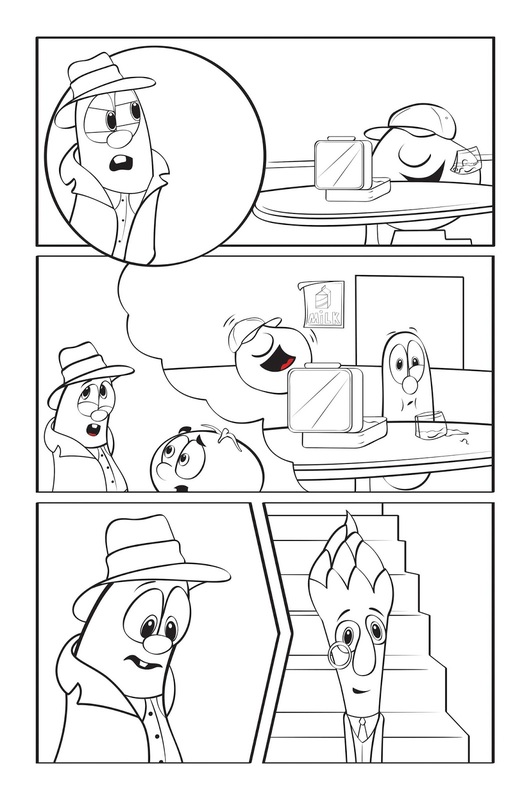 The comic's word balloons, thought bubbles, & captions have been removed. 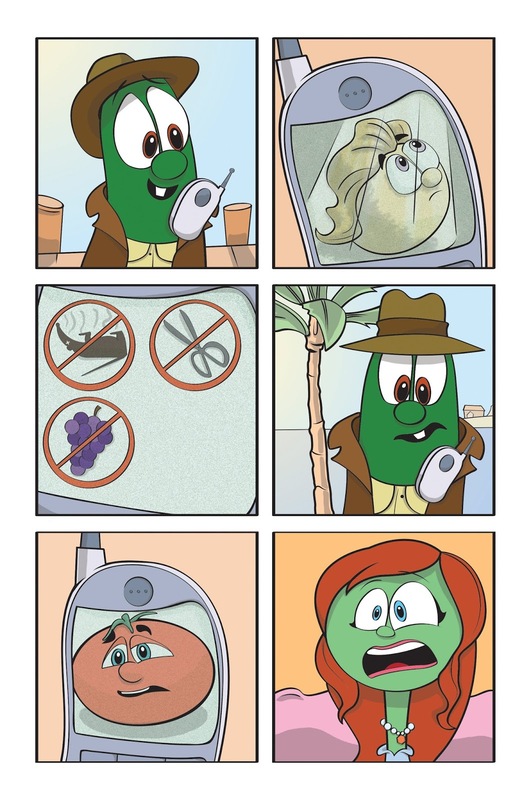 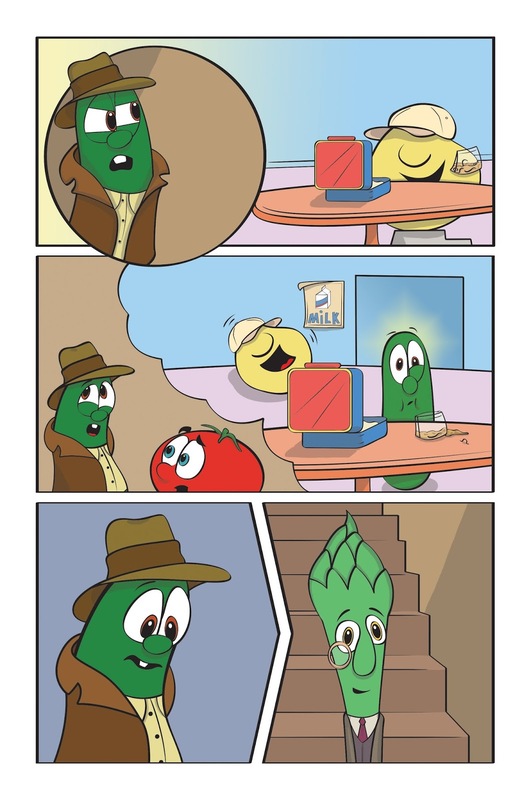 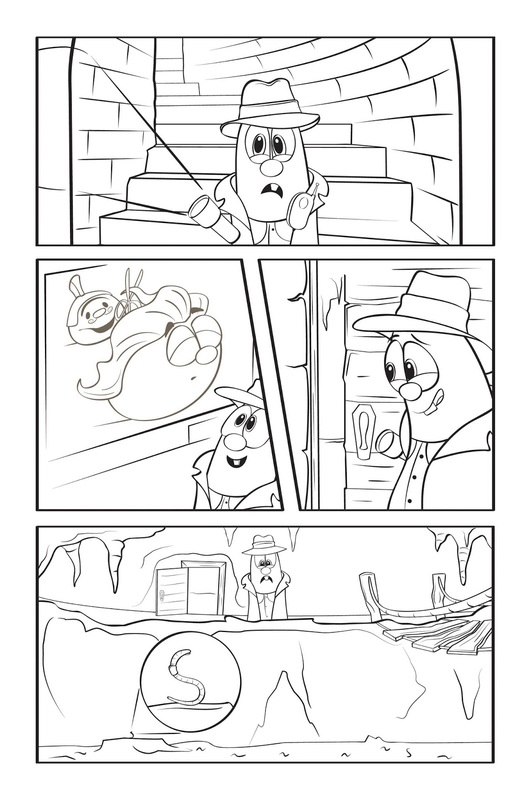 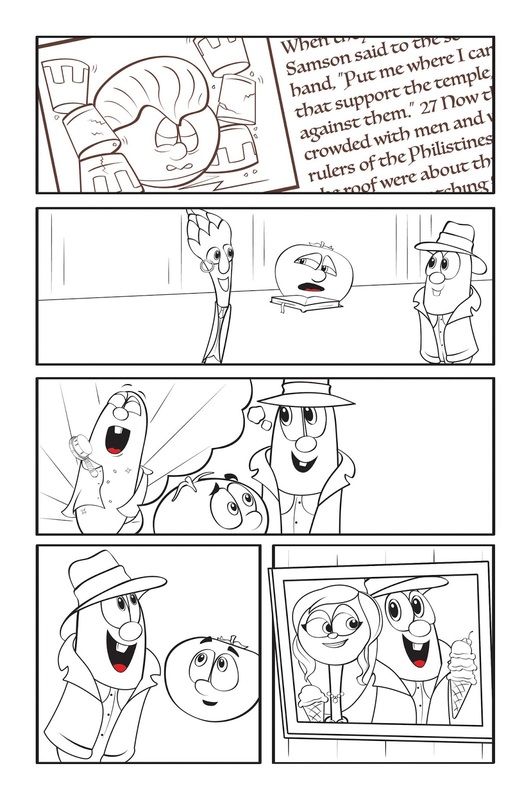 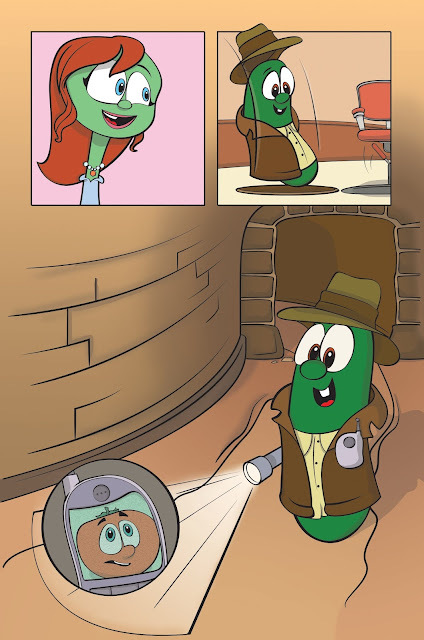 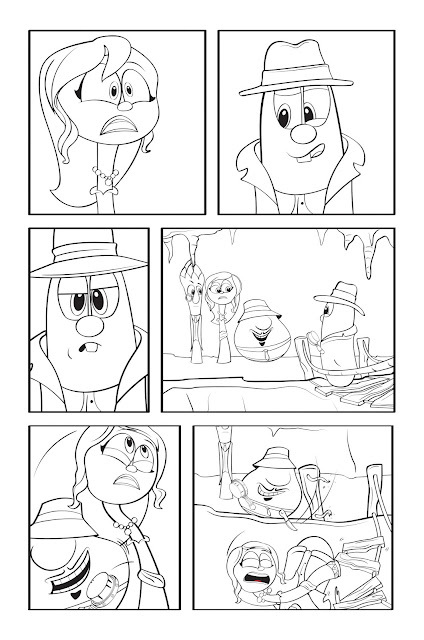 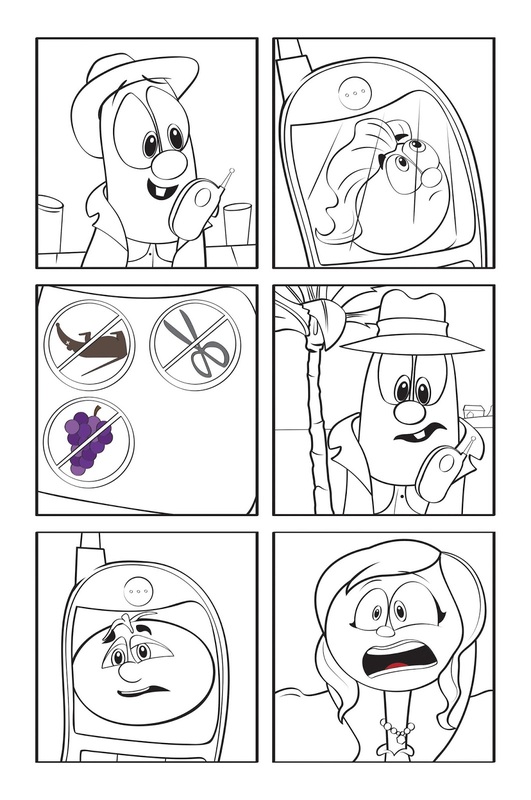 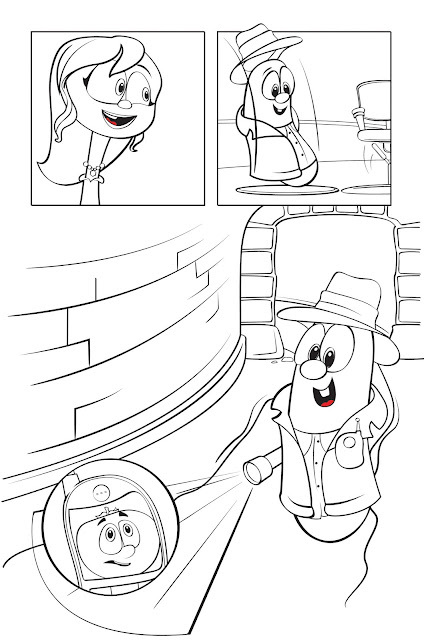 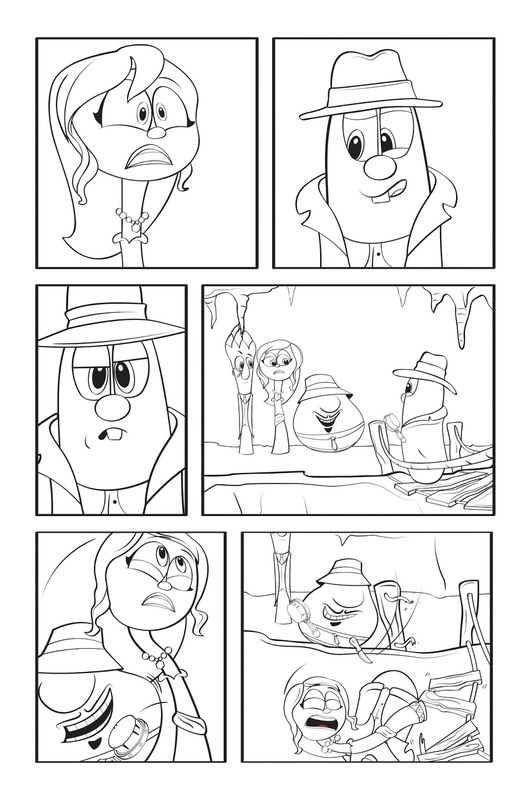 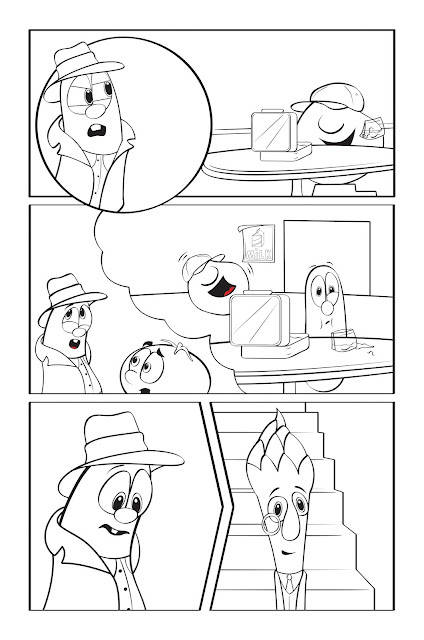 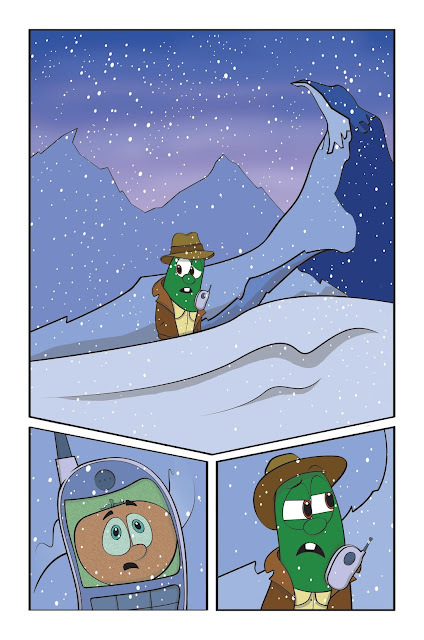 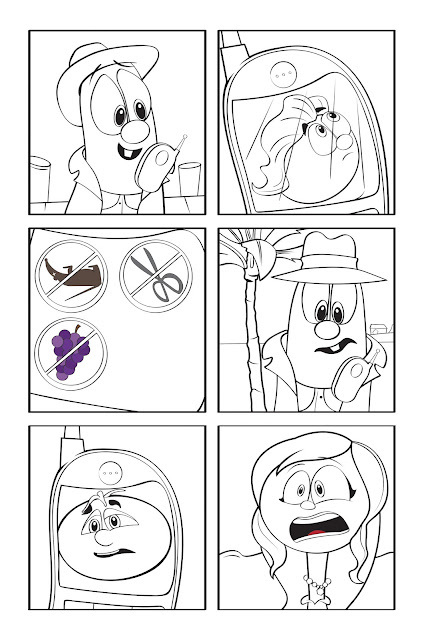 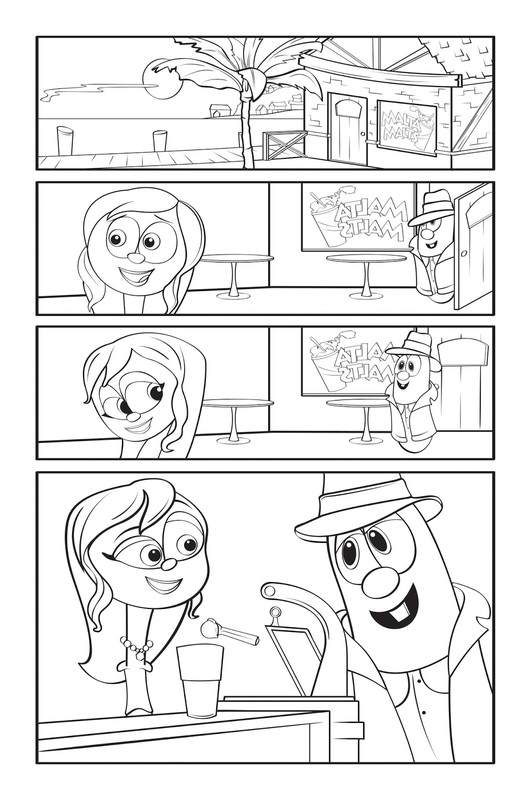 The full comic is available in VeggieTales Super Comics: Volume 4, which can be purchased in most book stores and on Amazon and should be available as a single issue comic on Comixology soon. 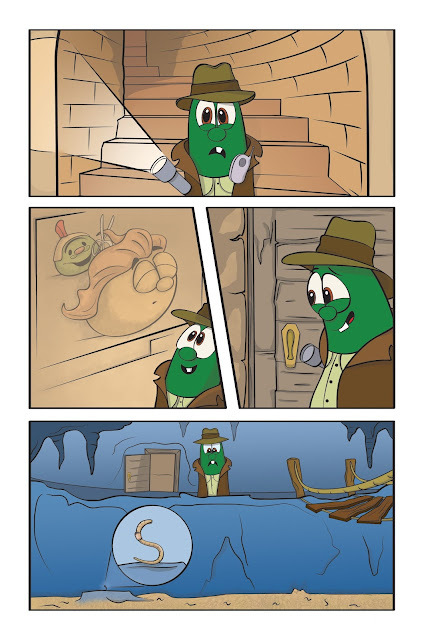 This story was the fourth of many I was lucky enough to work on with Cory Jones. 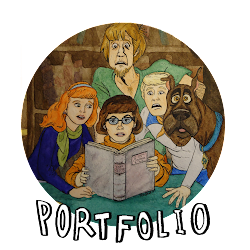 You can get a bigger & clearer view of these pages & more, as well as more info over on my Portfolio page. 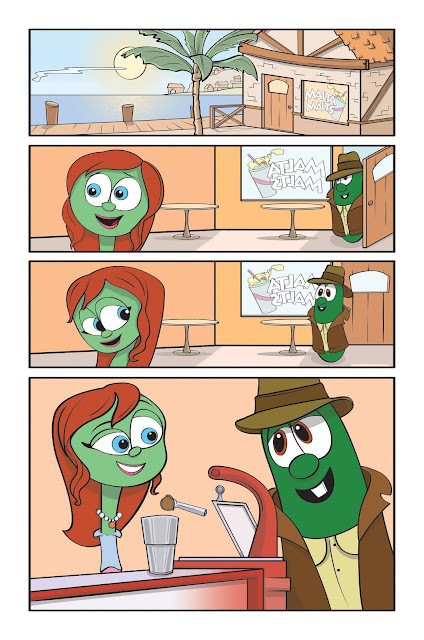 Thanks for taking a look. God bless! P.S. 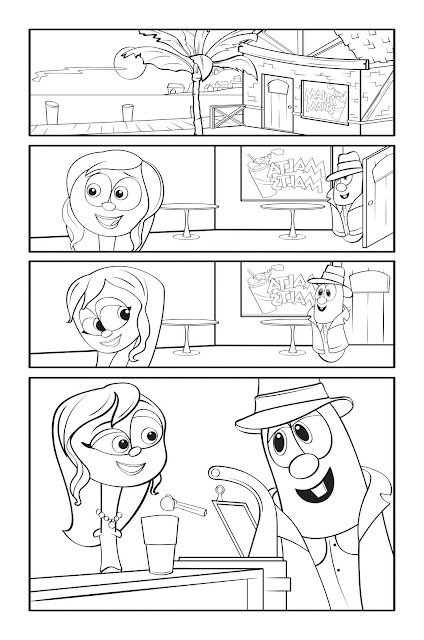 Of course, VeggieTales Supercomics & it characters belong to Big Idea Entertainment.